So cute! Love this tank! I love all of the tanks because of the awesome messages! Great giveaway! Pink is my favorite color and since I just recently lost 35 pounds, I'm in need of new workout tanks! The tank is super cute! Would love to win! Cute clothes! And your reviews are always so great, would love to try them out! I love burnouts and I definitely plan to be FIERCE this year! Bring it on!! Love the tank!! Loving the words on the back of the tank! Fierce! The designs are all so cute! I do not have a pink burnt out tank yet... I need a Fierce one since that is "my word". love the tank tops so cute! and motivating! I love the Fierce tank! It's perfect! I'm definitely going to share it with my team... :-). Awesome give away!! The look of the tank motivates me to workout ! LOL! I always love new workout clothes! I always need more workout clothes, especially tops. The more I have, the less laundry I have to do hahaha. Thanks for the giveaway! I love this tank! Thank you for the wonderful giveaway. What a cute tank! Fierce is one of my favorite mantras. Pink's my color, and I'm working on being more fierce! I love that tank. I want to always feel fierce when running. I never had one like this since I didn't feel comfortable at gym in it but now I work out at home or small gym by my apartment so I don't have to worry. It's so cute! I need to get this for my momma! Pink and Fierce! I love this tank! it would be great to wear some cute workout clothes! I haven't tried running with my boxer yet. But I think he will love it. Once the weather warms up a bit, I'm going to try him on some shorter runs to see how he reacts. Lea! You have the absolute best giveaways! 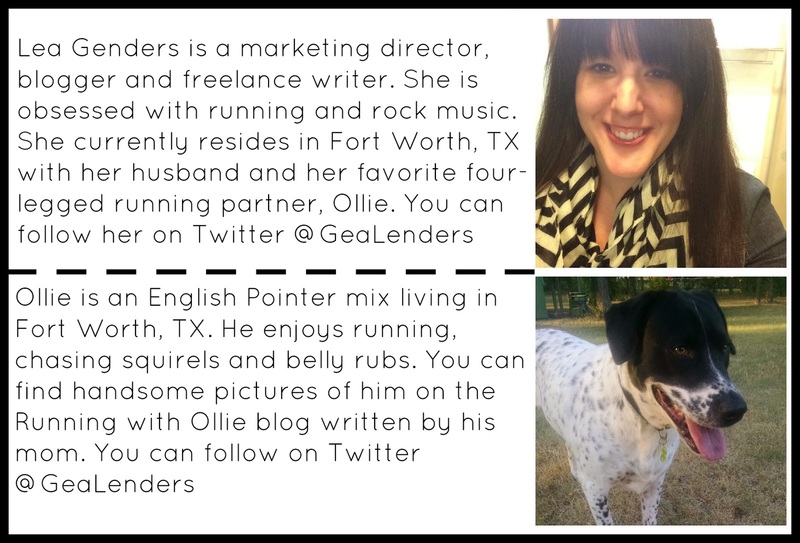 Also maybe someday my pup, Chloe, can be featured on a Furry Friends Friday post once she completes her puppy-friendly half marathon! Cute tanks...may actually draw me away from tees! This is adorable, thanks for posting! If I don't win... I might have to save up and buy one! Thanks! Love love love this. I would love to rock this tank at the gym. Anything that makes me feel fierce and confident always helps motivate me to push harder! 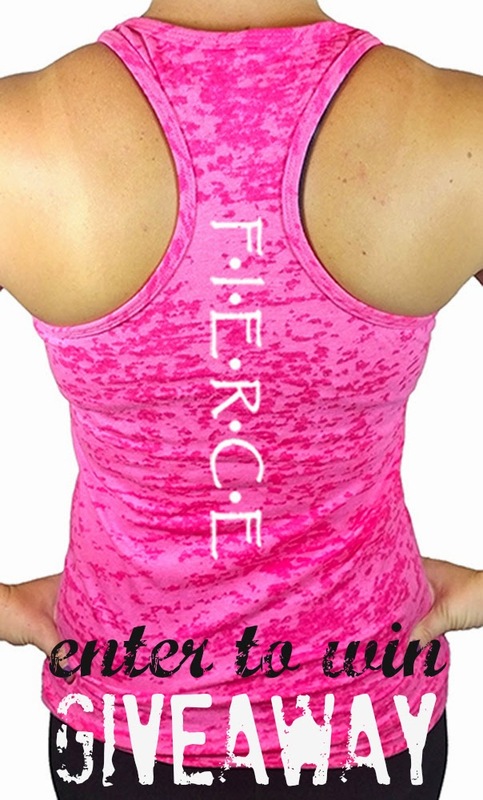 Fierce is a great mantra! Favorite color? Pink. Favorite word to describe my fitness plan? Fierce. Could this be the best giveaway ever? Thanks for the opportunity! We as human beings like variation and having different exercises in the yoga workout schedule is the best way to stay consistent and ensuring yourself your dream physique. Nicely written--Above topies is equally informative as well as interesting.Thank for your valuable information you been putting on making your site such an interesting If you have time please visit my gym attire page.